Valentines Day is right around the corner and if you plan on making your honey breakfast in bed, give this recipe a try! 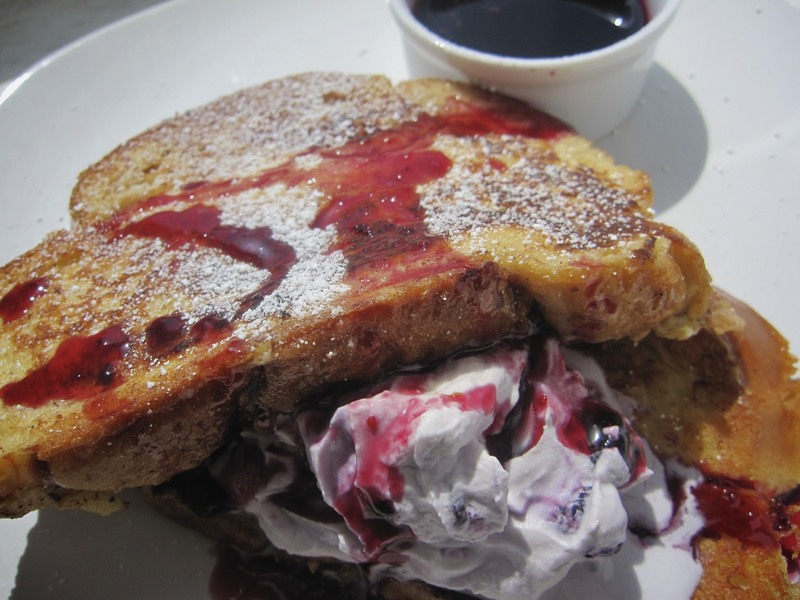 Vanilla scented french toast with creamy mascarpone filling, drizzled with berry syrup, It’s even more delicious than it sounds. I used a mixture of blueberries and raspberries, but any berries will work for this. Whisk together eggs, cream, cinnamon and vanilla together in a shallow dish or bowl. Soak each piece of bread in mixture to be sure each piece of bread is coated. Heat a cast iron skillet or griddle over medium heat and add a little butter to coat the bottom, about a teaspoon. Add French toast and cook about 4 minutes on each side until French toast is crisp and golden on the outside. Repeat until you have cooked all of the French toast. This will make enough for 4 people, but you can cut the recipe in half if needed. To assemble, spread mascarpone berry mixture on one slice of French toast and top with another. Serve with warm berry syrup on the side. Add all ingredients except berries to stand mixer fitted with the whisk attachment. Beat on high until mixture is thick and stiff peaks form. Fold in berries. Add ingredients to a small saucepan. Bring to a boil. Reduce heat and simmer for 5 minutes stirring occasionally. Strain through a mesh sieve pushing berries down with a spoon to release their juices. Serve warm.